Dawn Nettles' passion for the Texas Lottery started as a report on lottery results and related articles, and over the last 20 years it has evolved into a full-time job. 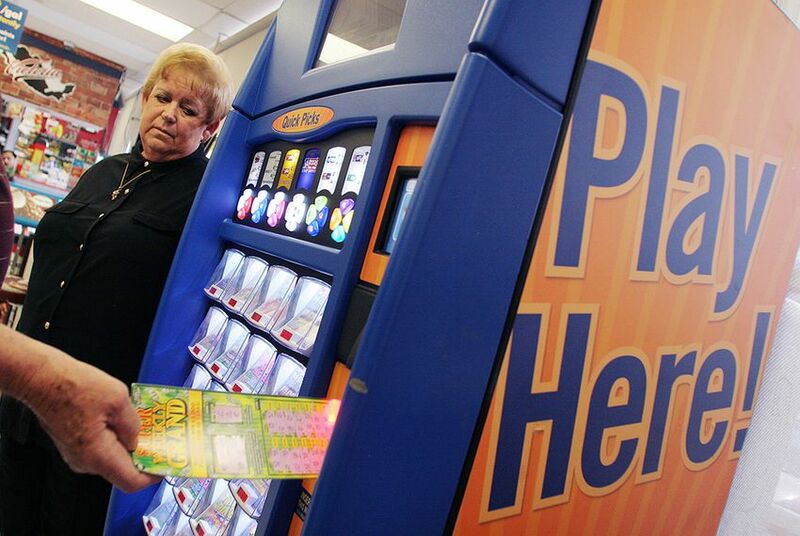 Dawn Nettles chuckled when she talked recently about how her friends and family hate her passion for the Texas Lottery, which has consumed many of her waking hours for more than 20 years. During that time, Nettles, 63, of Garland, has gained a reputation across the state as the watchdog of the Texas Lottery — but that was never her goal. Since 1993, Nettles has produced The Lotto Report, which began as a biweekly publication on Texas lottery results. In 1999 she started a website that posts results and lottery-related articles. Her original desire to inform lottery players has turned into a mission to ensure that the system operates fairly. It has also become a full-time job; Nettles says she typically works 14 to 16 hours a day. A yearly subscription to The Lotto Report costs $37.50, and Nettles said she has 1,200 subscribers. When she began The Lotto Report, Nettles would get packages of information from the Texas Lottery Commission for her publication, which included winning numbers for games, scratch ticket information and winners’ stories. In 2000, the Lottery Commission altered the matrix of the games, including Lotto Texas, creating larger jackpots. Nettles, who opposed the move, said that from 1997 to 2000, the commission underpaid 13 winners a total of $3 million. The Lottery Commission conducted an internal investigation based on Nettles’ claims and concluded that it had followed policy. Nettles said after extensive review of the report that it was full of "half truths." “After that, I began reporting every move they made and continue to this day,” Nettles said. She started to post exact winnings on her website, which she says helps keep the Lottery Commission in check. The commission declined to comment on Nettles’ claim that it had underpaid winners. “We are respectful of the opinions of members of the public regarding the Texas Lottery,” the Lottery Commission said in an email. Nettles follows lottery-related legislation and keeps tabs on the lottery’s sales. She alerts legislators and news outlets when she suspects any foul play with payouts, game rule changes or advertised jackpots. In 2005, an investigation spurred by Nettles found that the lottery was advertising jackpots higher than ticket sales could support, a discovery that led to the resignation of the commission’s executive director. Nettles is now questioning the constitutionality of the lottery’s newest game: Texas Triple Chance. She said the game does not meet Texas’ constitutional definition of a lottery because the state could benefit if no individual won the grand prize. State Sen. Bob Deuell, R-Greenville, is aiding an effort to look into the constitutionality of the game. His chief of staff, Don Forse, said that when the Legislature takes up lottery issues, information from Nettles is always included in briefing packets. “She sure is committed to a unique pet project,” Forse said. Nettles says she has specific goals to meet before she would consider ending The Lotto Report. “I will retire from my work the day that the Texas Lottery or the Texas Legislature instructs the Texas Lottery to make good on cheated winners,” she said.